F.A.C.E. Program Directors - F.A.C.E. Director and Chairman, Restorative Department F.A.C.E. Dr. Thomas Basta received his D.D.S. from the University of California School of Dentistry. 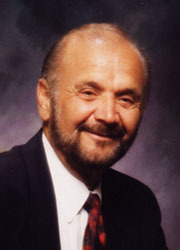 A former faculty member of the University of the Pacific School of Dentistry (as a special consultant in Crown and Bridge Prosthesis), he is also a charter member of the Saratoga Gnathological Academy, Director of the Western Gnathological Academy, and Director of the Sierra-Nevada Gnathological Study Group. Dr. Basta is a frequent lecturer on occlusion throughout the United States, Canada, Mexico, Europe and the Orient. 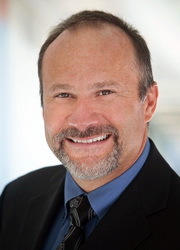 In addition to serving as the Chairman of the Restorative Dentistry Department at FACE, he maintains his restorative dentistry practice at the FACE facility, California. Director and Chairman Cosmetic Department F.A.C.E. Dr. Brucia is a graduate of the University of the Pacific School of Dentistry where he has held faculty positions in the Crown and Bridge and Operative departments and currently is an Assistant Professor of Dental Practice. He is practicing Cosmetic and Restorative dentistry full time. At the FACE institute he introduces a partnership between gnathology, occlusion and adhesion. He is also director of an advanced comprehensive restorative program at Baylor College as well as being on the faculty of several other Universities. As a published author, he is honored to be a guest for the January 2001 edition for Dental Clinics of North America publication and clinical reviewer for Quintessence International. He has received Fellowships in the American and International College of Dentists, the Academy of Dentistry International, the Pierre Fauchard Academy and Doctoral Degree with Delta Sigma Delta. He has worked as a developer and evaluator for new materials with manufacturers and laboratories. Dr. Brucia has lectured internationally on adhesion dentistry.